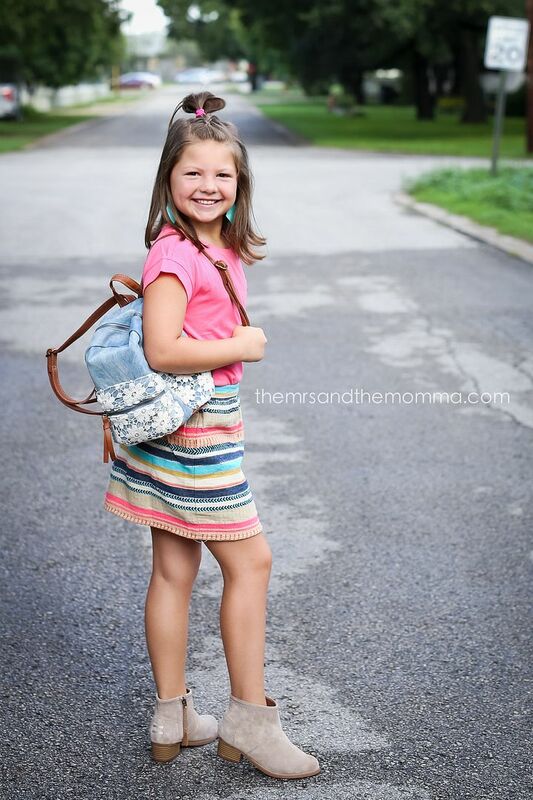 The countdown is on for the first day of school, and while some mommas have their game face on and are ready to hit the books, er, carpools...some are still collecting school supplies and looking for that perfect first day outfit for their little ones. 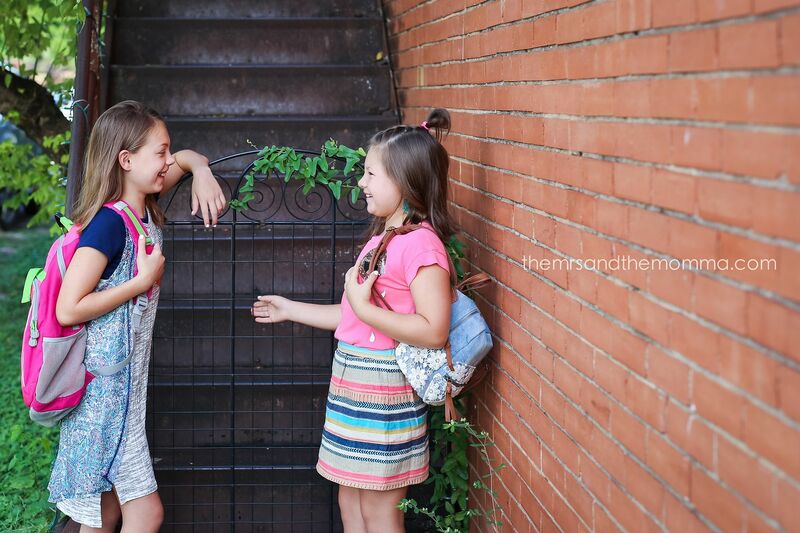 Either way, back-to-school style is everyone's favorite and kids are SO much fun to shop for...especially girls, don't you think? 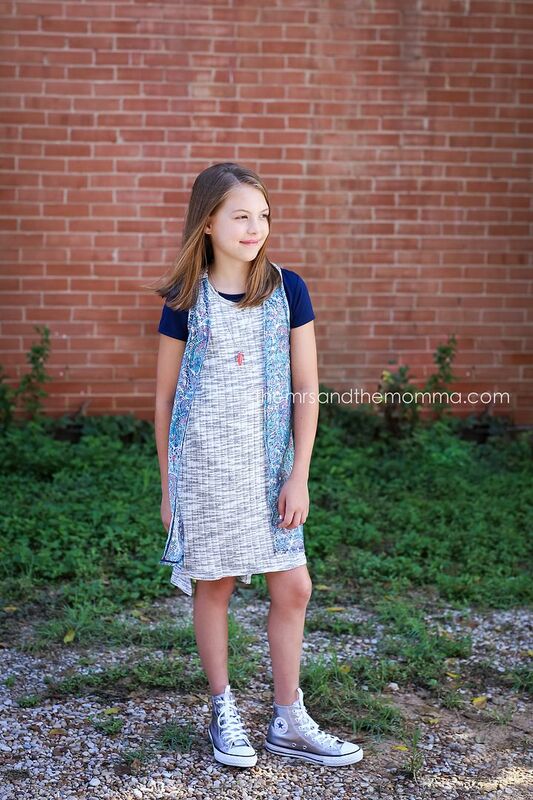 We found most of our back-to-school outfits from Nordstrom and Old Navy...and a bit from Dillards. 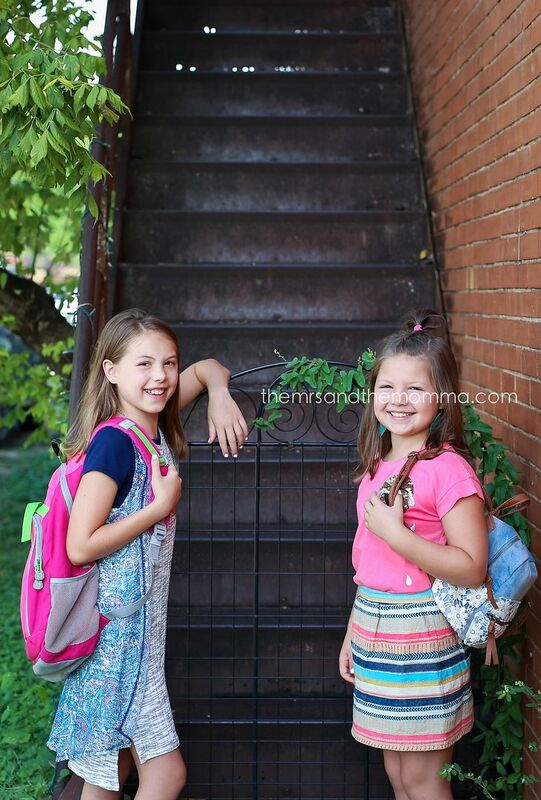 Me and my two oldest did a little photo shoot with their first day outfits. They were so excited to wear them before the actual day (because they've been off-limits until then)! Out of all those stores, Nordstrom consistently has darling clothes, Old Navy has killer sales (huge one going on now! ), and Dillards has great and unique finds for kids. >>> Where do YOU like to shop for school clothes??? Oh my word. Your girls are TOO cute! & SO stylish! You have an eye for fashion, lady!